Whether you pay child support or you receive it, you may need to adjust it at some point. The good news is that child support is always modifiable in Florida. If you need to change your support, it’s important to work with a Child Support Modification Lawyer Tampa. Your lawyer can help you determine whether you qualify for a child support adjustment. If you must change your child support obligation, it’s important to follow the correct procedure. You should never just stop paying, or reduce your payments on your own – even if the child support recipient agrees to the change and even if you are agreeing to pay more support than previously ordered. The court must agree to the adjustment, and both parties must consent to the modification in writing. Child support is actually the child’s right under Section 61.13 of the Florida Statutes. As such, it does not belong to the parent who receives support. For this reason, any change of support must be in the child’s best interest. Florida courts will usually approve a change in a parent’s child support obligation if there has been a substantial change since the court granted the parents’ divorce, or since the last time the court modified child support. Under Section 61.30 of the Florida Statues, the difference between the existing monthly child support obligation and the amount set by the child support guidelines must be at least 15 percent or $50, whichever is greater, to qualify as a substantial change in circumstances. As children get older, their needs change, which can lead to a substantial change in the parents’ expenses related to the child. For example, a child who transitions from day care to school is unlikely to require child care during the day, which can result in a significant savings for the parents. Depending on the circumstances of the case, this could be enough to trigger a child support modification. In other cases, a child may develop interests in sports or hobbies. If one parent is paying for lessons, equipment, or training, the parents may need to adjust the child support obligations in their case. The court may also approve a modification in child support if the child begins spending more time with one parent. Whatever the reason for the proposed change, the reasons behind the change must be legitimate. The court will not approve a reduction in child support if the support payor is deliberately unemployed or underemployed. For example, a court is unlikely to approve a support modification in a case where a support-paying parent who works as a medical doctor quits his or her job to start working as a landscaper. In this scenario, the burden is on the paying parent to prove his or her decision to switch careers is based on legitimate reasons. 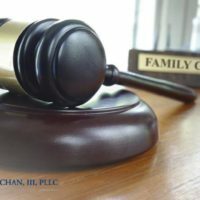 A lawyer who is Board Certified in Marital and Family Law by the Florida Bar can help you protect your rights in a divorce or post-decree family law matter. If you have questions about modifying your child support obligation, call a Tampa child custody and support lawyer today.